Launch event registration website in minutes! 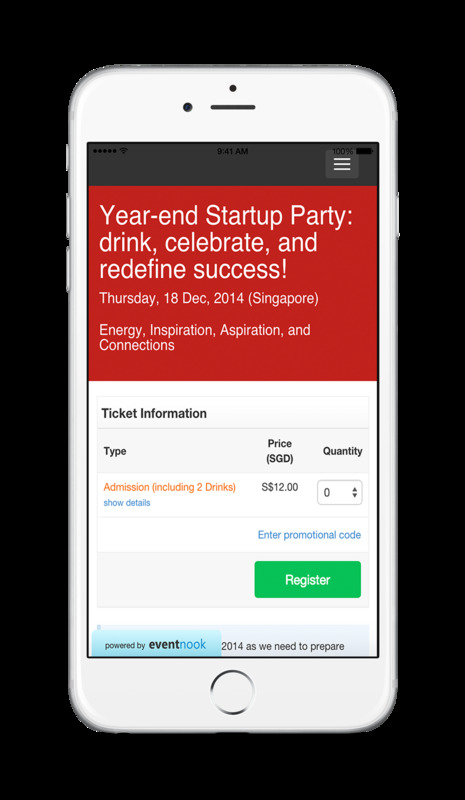 More than 60% of attendees visit event sites from smart phone. 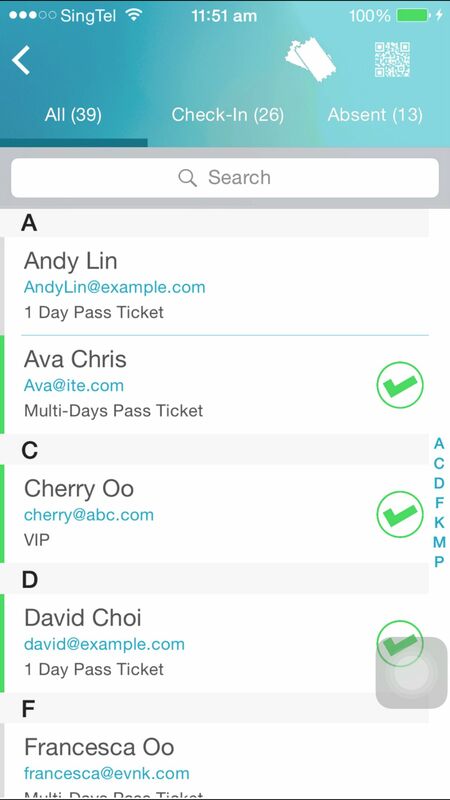 Let your attendees register on the go and increase sign up rate! 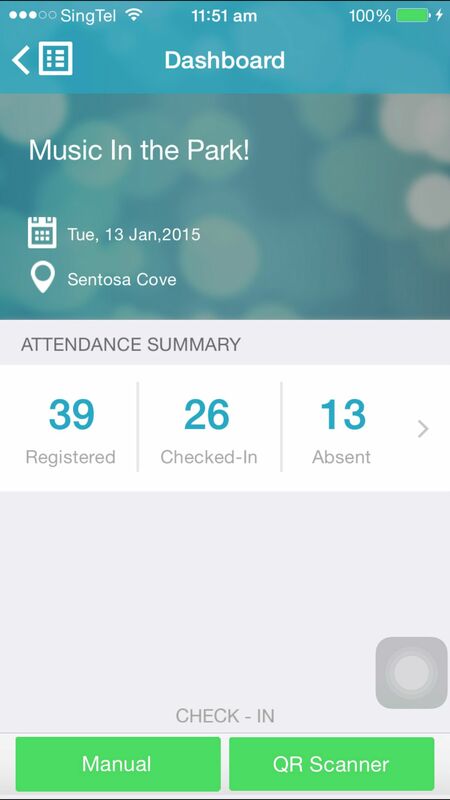 A smart way to check in attendees and tracking attendance efficiently in real time. 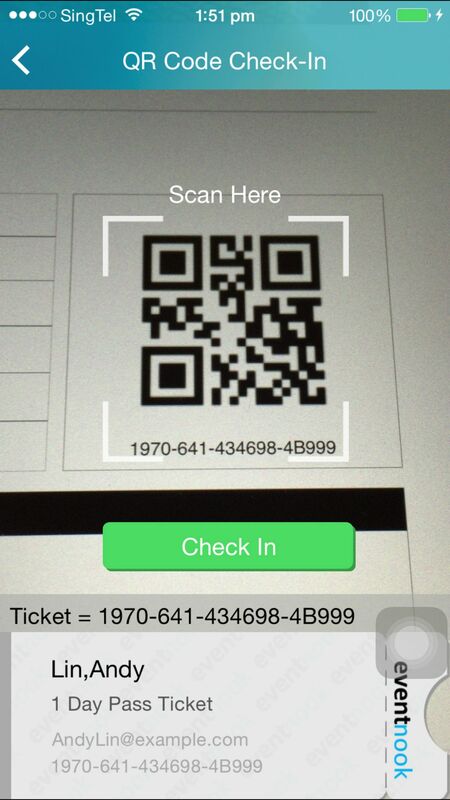 Impress your attendees and save resources with QR Code Ticketing. 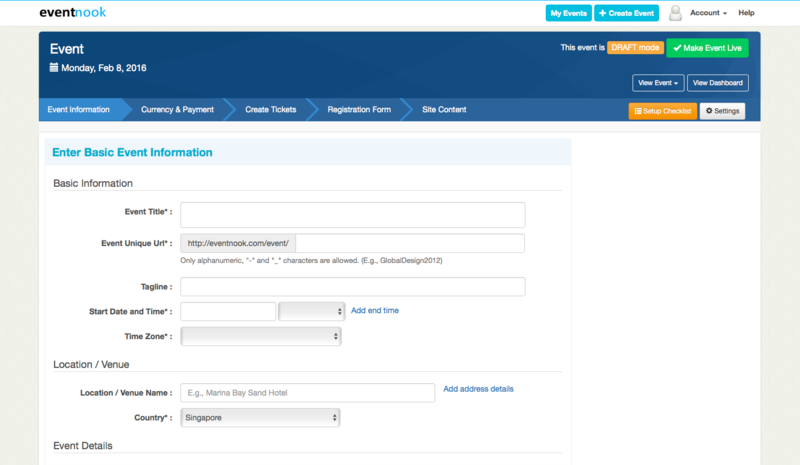 Simply customize registration form by just clicking drag & drop to add custom questions or fields. 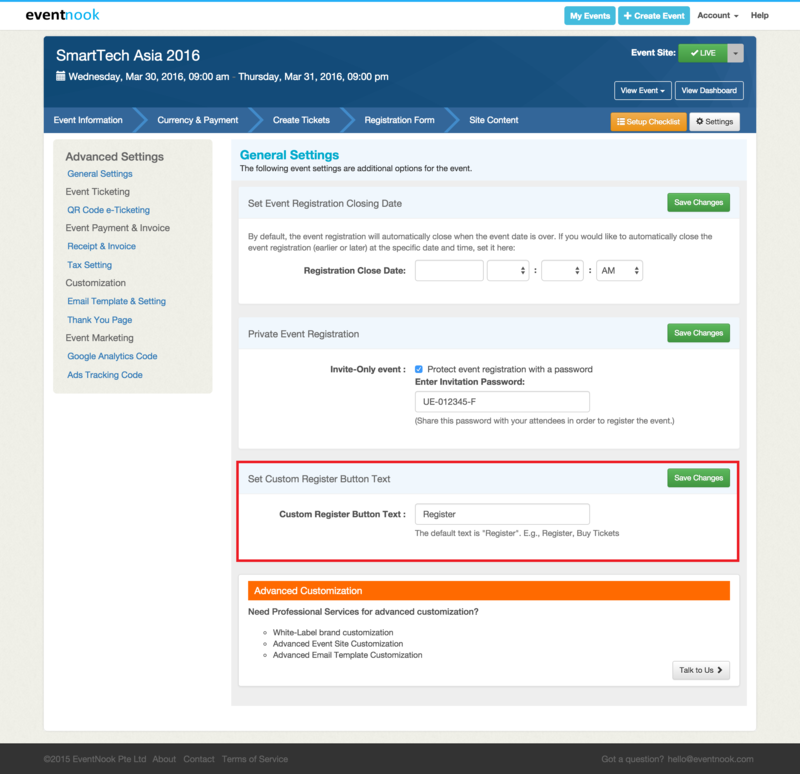 Send the auto confirmation email with custom message and event information to attendees upon registration or payment is successful. 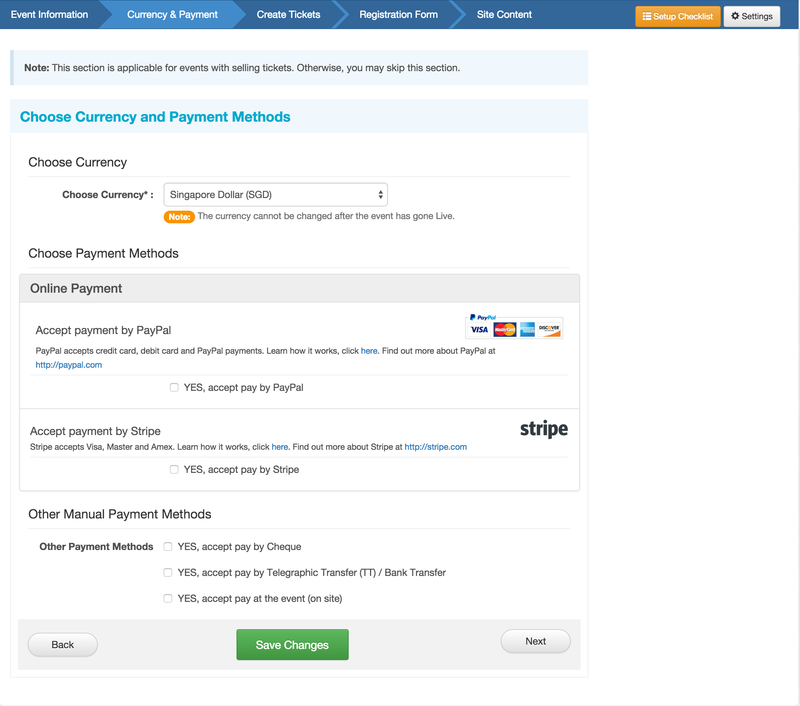 Allow registrants to pay online with credit card with widely adopted and secured platforms such as PayPal and Stripe and receive payments directly into your own account. Reports are in real time. 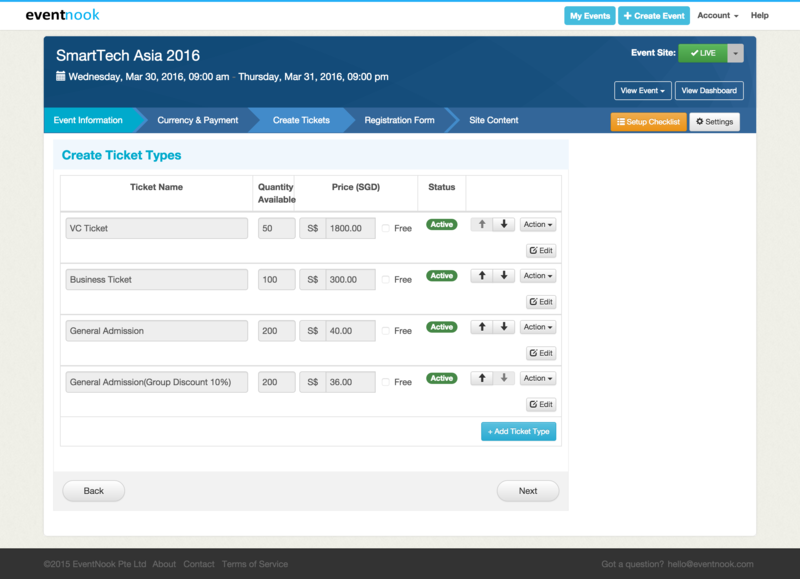 You can download or view all registration details and event ticket sales from anywhere anytime. 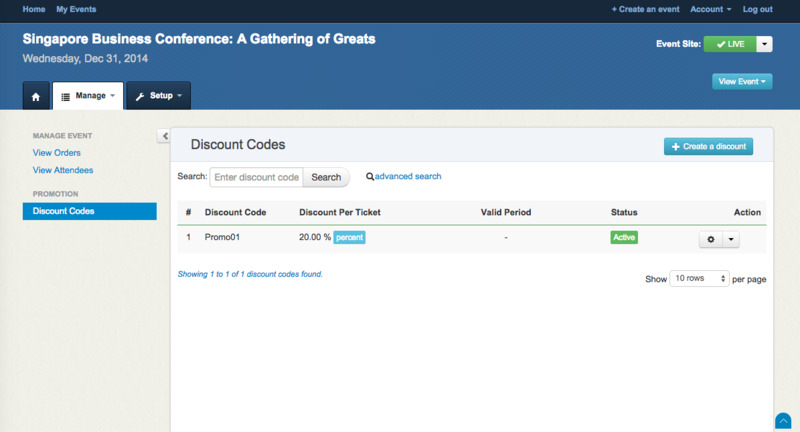 Create discount code for tactical promotion such as Early Bird, Member and partners discount, etc. to drive ticket sales. 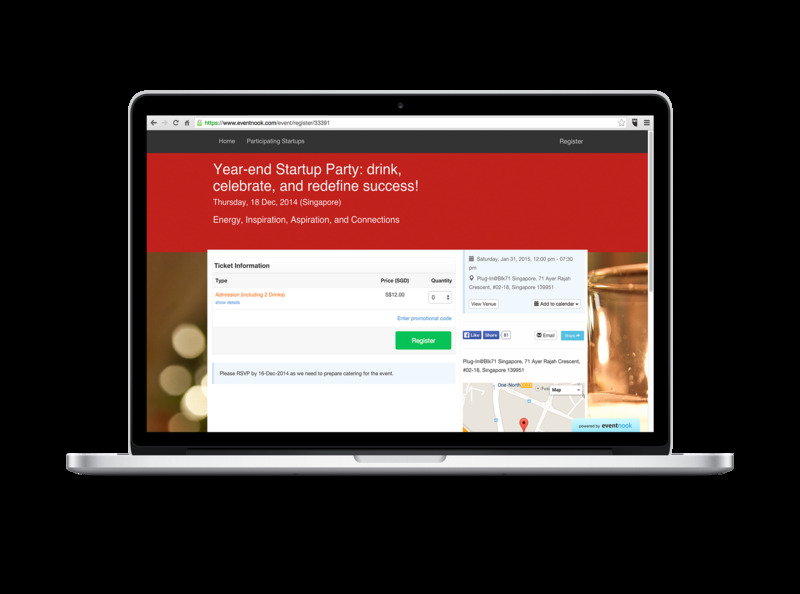 Insert your own tracking id like Google Analytics or Facebook Ads campaign to do a complete analysis of your event marketing campaigns. 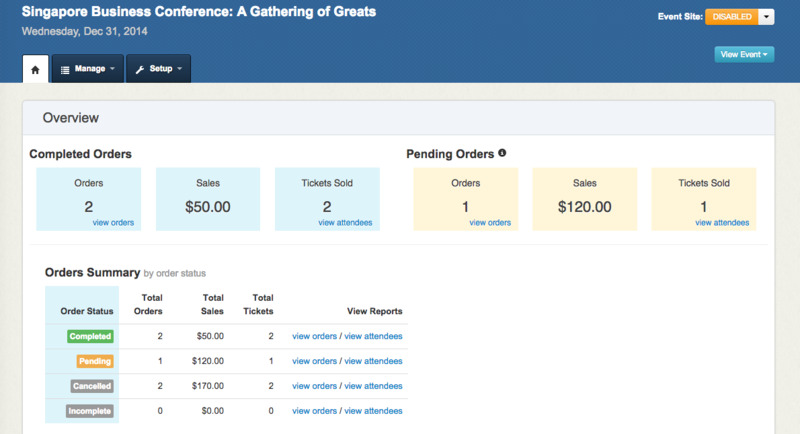 Customize email templates and bring communication with event attendees to a more personal level. 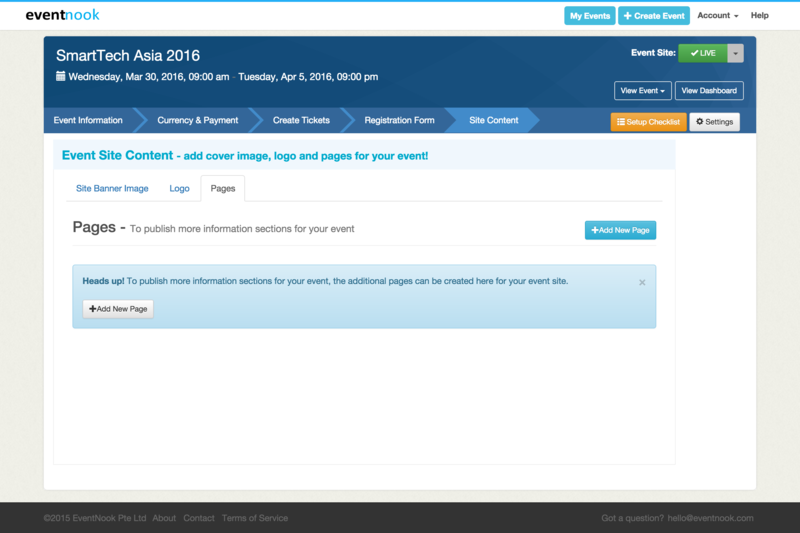 With this feature, event organisers are able customize messages on tips about the event day, add images such as maps, state terms and conditions, venue information and much more. 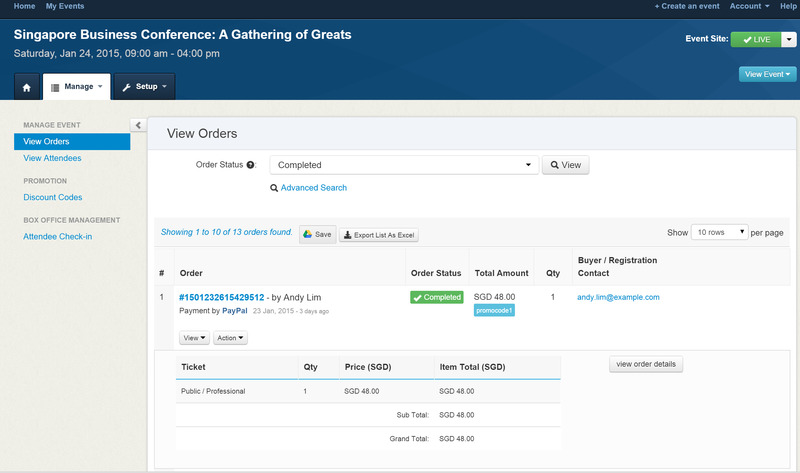 Save time and hassles of manually issuing invoices to all registrations for B2B payments with cheque, bank transfer, etc.